We've got the cooking bug over at Vale of Mowbray. Winter nights in during the colder weather is encouraging us to cook more since we've got the time and actually do really enjoy cooking. Creating food for the whole family to enjoy brings us joy - as huge foodies, sharing the joy of our cooking is always something we love to do. In particular, Sunday cooking has become a fun past time - with the snow that's expected, we can't help that we want to hibernate! 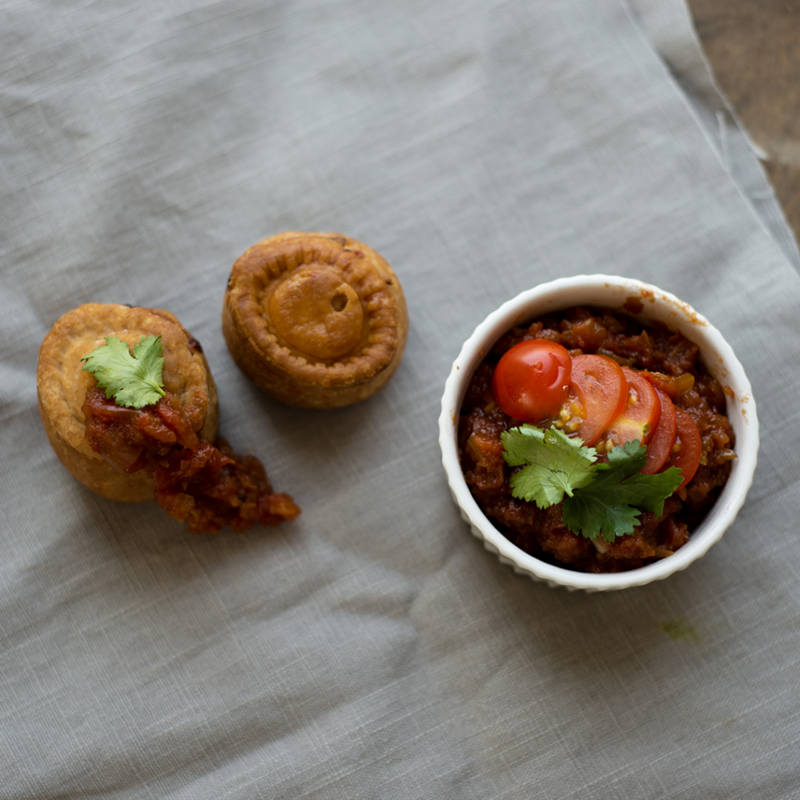 We're enjoying cooking accompaniments for our delicious pork pies which will last and that we can bottle and pop in the fridge to enjoy over the following week or two. Pour the mixture into a blender and whizz until it until it’s the consistency you like. We like it slightly more chunky as you can see in our photos but if you prefer it to be smooth then just keep on blending! As it cools, the sauce will thicken so bear that in mind when thinking of how much you do want to blend it. Put in airtight, sterilised containers and you can keep this in the fridge for a maximum of 3 months. There you have it – an easy homemade tomato sauce recipe from scratch! We love this ketchup with a pork pie; serve in a ramekin with our mini pork pies for an easy dinner. You could serve with fries or a side salad for a more filling dinner. Using fresh ingredients to make wonderful flavours to compliment our pies is something we’re really passionate about. In Yorkshire, we have such wonderful fresh produce – the rhubarb for example. We’re thinking of creating a rhubarb recipe to share with you; if anyone has a great recipe they’d like to share please feel free to get in touch on social media! 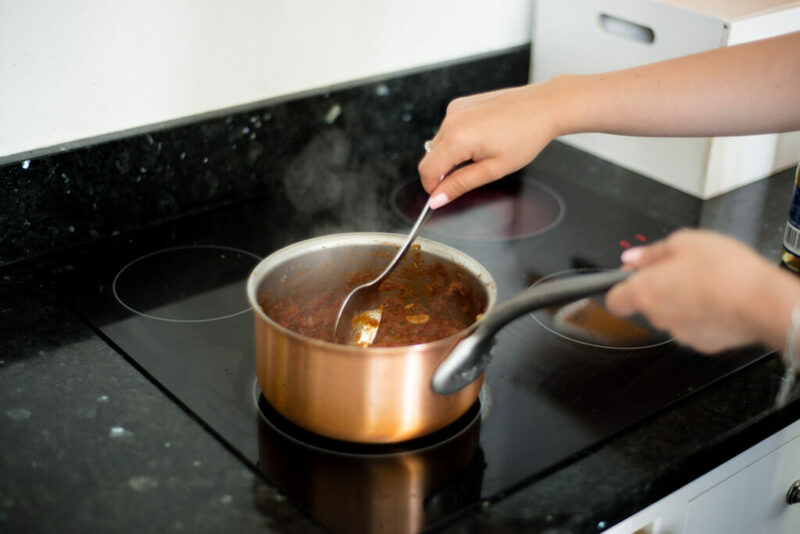 Are you enjoying cooking this time of year? With evenings in becoming more common due to freezing weather, it’s all we find ourselves doing! To go with our delicious Yorkshire pork pies, what accompaniment would you like with yours? Make sure to check out all our latest recipes.